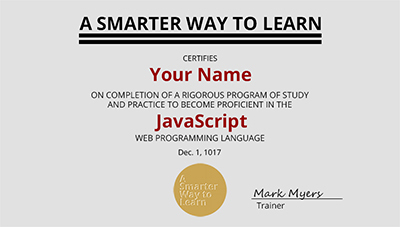 Keep going to earn this certificate. What is the method for extracting a segment from a string? "captain" has been assigned to someWord. You want to slice "ap" out of it. Fill in the blank. The slice begins with the index-1 (the second) character and ends with the character before the index-3 (the fourth) character. You want to take a slice out of the string that starts at the fifth character and goes to the end. Fill in the blank. The number of characters in the string will be assigned to the variable. Fill in the blank. Drag-and-drop. Holding down the left mouse button, drag the pieces to form two statements. The first assigns "elephant" to the variable animal. The second slices "lep" out of the string and assigns the segment to seg. The string "boxer" has been assigned to the array element athletes. Slice "x" out of the string and assign it to the variable seg, which hasn't been declared beforehand. Slice a segment starting with the 10th character and going all the way to the end, from the string represented by the variable x. Assign the segment to the variable y, which hasn't been declared beforehand. The string "elephant" has been assigned to the variable animal. Slice the four middle characters out of the string and assign it to the variable seg, which hasn't been declared beforehand. Find the number of characters in the string represented by a variable and assign the number to a second variable. Assign the second through last characters of a variable to a second variable that hasn't been declared beforehand. Assign the first character of a string represented by a variable to a second variable that has been declared beforehand. In a first statement measure how many characters there are in a string represented by a variable. In a second statement slice all but the first and last characters of the string and assign it to a second variable that hasn't been declared beforehand. Time goal: 45 seconds. The string "elephant" has been assigned to the variable animal. Slice the four middle characters out of the string and assign it to the variable seg, which hasn't been declared beforehand. Time goal: 30 seconds. Find the number of characters in the string represented by a variable and assign the number to a second variable. Time goal: 35 seconds. Assign the first character of a string represented by a variable to a second variable that has been declared beforehand. Time goal: 60 seconds. In a first statement measure how many characters there are in a string represented by a variable. In a second statement slice all but the first character and last 3 characters of the string and assign it to a second variable that hasn't been declared beforehand. Time goal: 50 seconds. The string "boxer" has been assigned to the array element athletes. Slice "x" out of the string and assign it to the variable seg, which hasn't been declared beforehand. Time goal: 60 seconds. Assign the number of characters in a string represented by a variable to another variable, which hasn't been declared beforehand. Then code the first line of a for statement that uses the variable as the loop limiter. Use the most common counter name, initial value, and increment. Assign "elephant" to a variable. Code an alert that displays the first 3 characters. Prompt for a long word. Code an alert that displays the second through next-to-last characters.